There is something so satisfying about letting an ingredient burn and char, filling the kitchen with eerie smog and heck, even setting off the smoke detector (whoops! ), when you do it with an intention for delicious food. It seems so wrong and yet tastes oh so right. Like those crispy bits on the top of a pasta bake or the scent of browning butter as you let it sizzle and foam in a saucepan. It’s the magic that takes flavour to the next dimension. The Maillard reaction gone out of control – rolling from simple caramelisation to smoky sweetness. 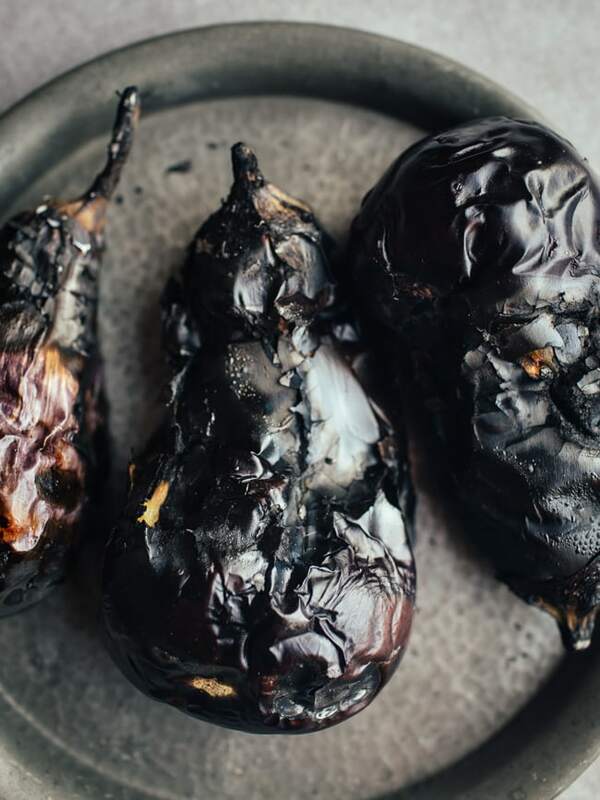 Burning aubergine has to be *the* most dramatic change in a vegetable you’ll ever see. The unassuming, plump flesh slumping down and becoming creamy, disguised by the crackled skin. 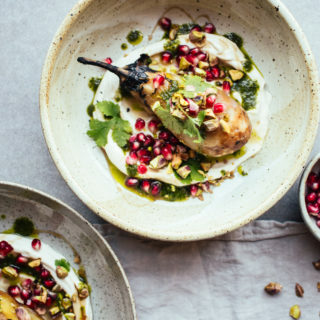 It’s not surprising to me that ‘burnt foods’ made their way onto Kimpton’s Culinary & Cocktail Trend forecast for 2017 (which I used to inspire this recipe), along with ingredients like tahini and yogurt (thanks to the massive trend in Lebanese food which has been building for a while now and is still going strong!). Another mention in the forecast went to to fermented foods – yep! yogurt again – which have been popping up everywhere. I’ve even got some jars of kombucha brewing at the moment and have been making shrubs (fermented fruit drinking vinegars) all summer long!! Side note: the reason fermented foods in particular may be trending is because there has been speculation that they’re good for our guts, in particular for the balance of bacteria living in our guts but…I’m not too convinced yet (it’s probably a better bet to focus on getting a good intake of fibre, first). However I am writing my 6,000 word (gulp) literature review this year on the ‘human microbiome‘ which will probably involve me reading into research about fermented foods and health. SO if I find anything interesting out, I’ll probably write about it on here later! Health aside, fermented foods are pretty tasty (miso, beer, wine, pickles, yogurt..) so I’m all in for more fermentation. Putting that together – burning, fermenting, Lebanese flavours – and given that aubergines are just about still in season, it seemed serendipitous to make this recipe. 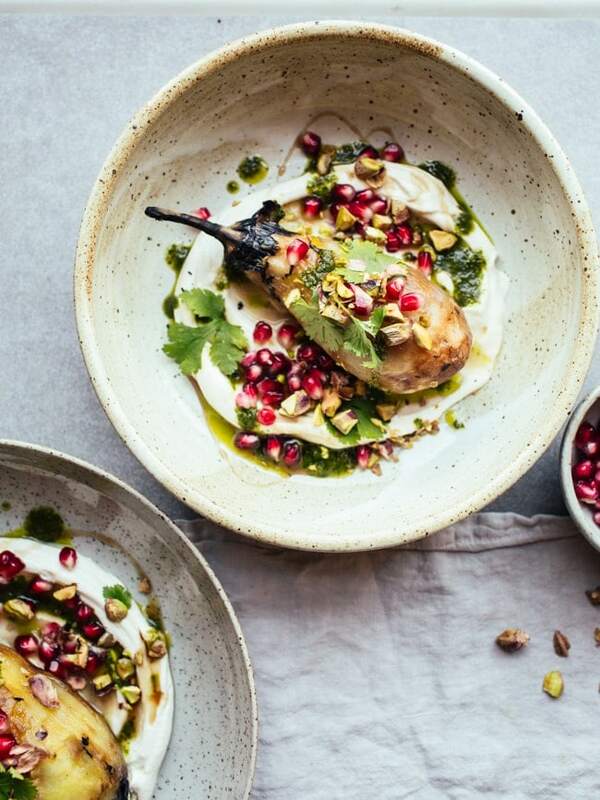 Silky, smoky aubergine with tart, unctuous labneh. 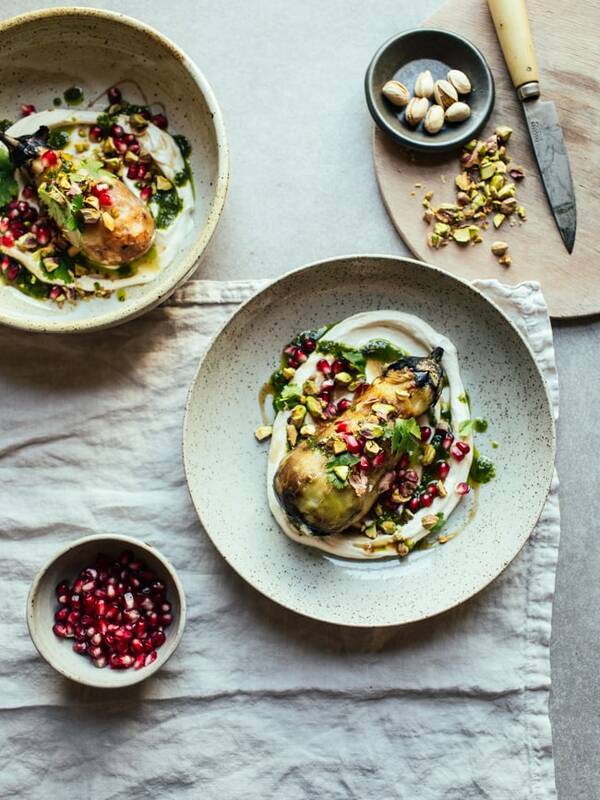 A sweet-sour drizzle of pomegranate molasses, herby green notes from coriander oil and crunch from the pomegranate arils & pistachios. It’s a beautifully bright dish and takes extremely well to being attacked with a fork in one hand and a warm pita bread in the other. Place two layers of cheesecloth into a fine mesh seive (strainer) set over a medium bowl. Place the yogurt into the cheesecloth lined seive and set in the fridge overnight. Discard the liquid (whey) from the bowl. Tip the strained yogurt from the cheesecloth into a bowl and mix with the garlic, tahini and a pinch of salt. Blend together the coriander and olive oil - you can do this in a jug using a hand blender (immersion blender) or in a free-standing blender. Place the aubergines over the lit burner of a gas hob. Leave to char, turning occasionally using kitchen tongs, until completely blackened all over. Let the aubergines cool then peel off the charred skin, leaving the stem intact. Spoon the labneh into a couple of bowls (or over a large serving platter) and spread it around with the back of a spoon. 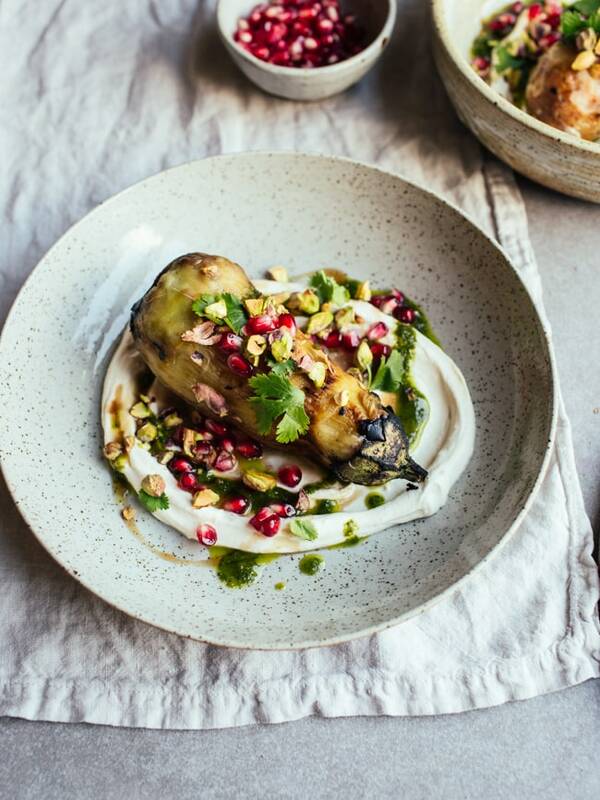 Top with the peeled aubergines then drizzle with the pomegranate molasses and coriander oil. 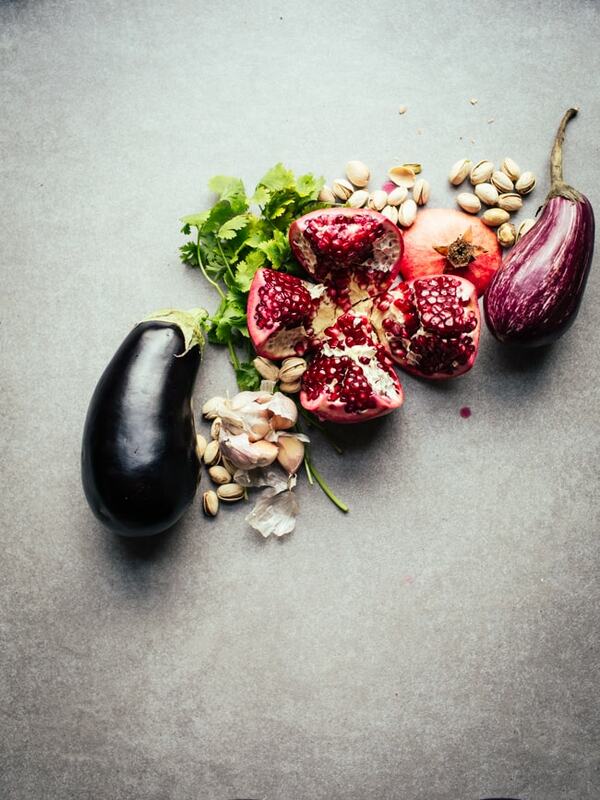 Sprinkle with salt, the pistachios, pomegranate arils and reserved coriander leaves. Serve with flatbreads for scooping as a starter for 4 people OR with brown rice and grilled halloumi cheese as a main for 2 people. - you can burn the aubergine by placing it under your oven grill and turning it occasionally until completely blackened. The aubergine just won't be smoky if you use this method. *Thanks to Kimpton Hotels for sponsoring this post & providing the inspiration via their Culinary & Cocktails Trend report. Wait, is it possible to switch off the smoke detector??? I can’t even pan fry zucchini without that thing starting ringing!! This looks fabulous…….must have it!!! This looks delicious and such beautiful photos! And your post was very well written and interesting to read too. Thanks! This is just stunning. And it sounds incredibly delicious too! This looks incredibly delicious! Please do share what you find from your lit review; I’m personally convinced most of our modern health issues stem from gut microbe imbalances. 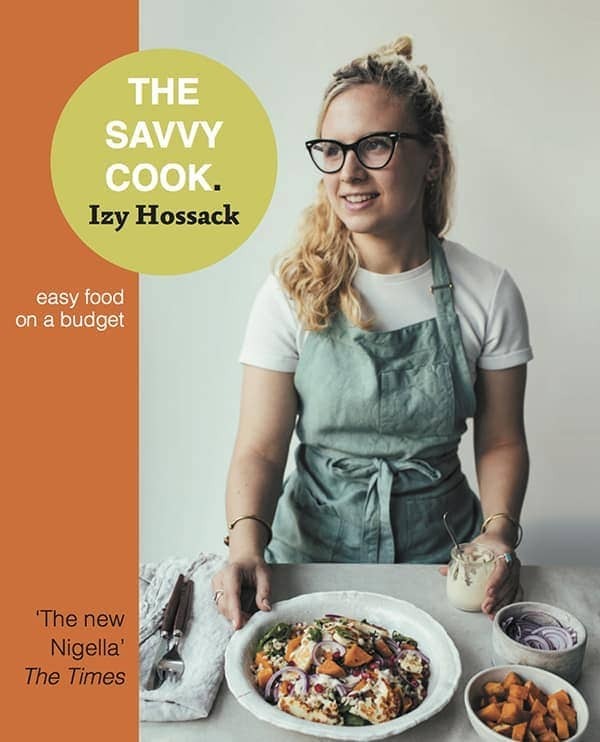 If you’d like a great book to read on the topic, check out Digestive Wellness by Liz Lipski! I made this for dinner tonight and it was divine! I will have it over and over again!